Description:- It began like any normal day for Akash but within a few minutes he was taken aback by news from Tina for which he was completely unprepared. 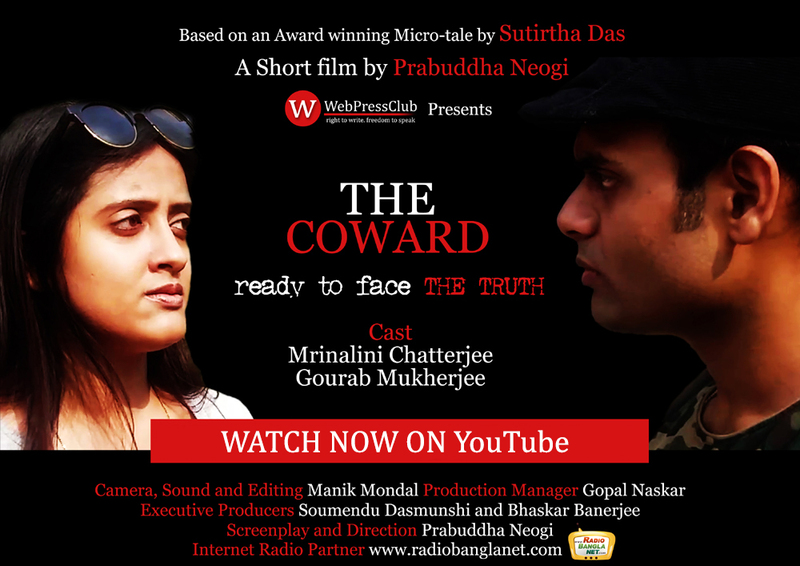 The Coward is the first English short film to be produced by WebPressClub. It tells the story of a boy and girl and an incident that brings the two persons at an important crossroad of their life.